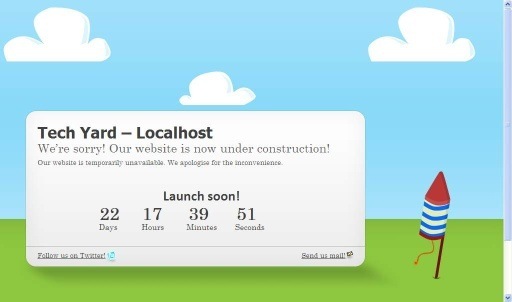 Home >> WordPress >> 4 WordPress Themes For Use During Scheduled Maintenance On Your Blogs. Incase you are facing Database problem or your updating your wordpress theme or making background maintanenece and you don’t want your visitors be shown a “page not found” or “404 error page” or a “domain parking theme”. then you want something like a simple temporary place holder. How to keep your WordPress Blog in Maintenance Mode. WpLauncher – A customizable domain parking theme for WordPress with countdown for the launch of your blog.The launch date can be set in the theme options. Tempskin – If you have plans of starting your website very soon and have it on up gradation then this theme can be helpful. 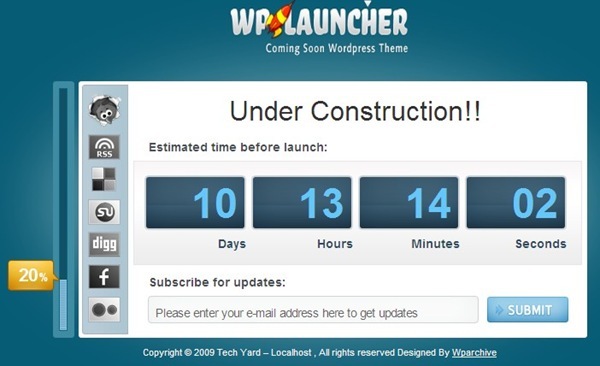 ReadyToLaunch – This under construction theme has 2 versions a wordpress theme or as a static webpage that can work with any website.The wordpress theme has theme options for customization and has 6 themes.A live preview is also available in the options page. 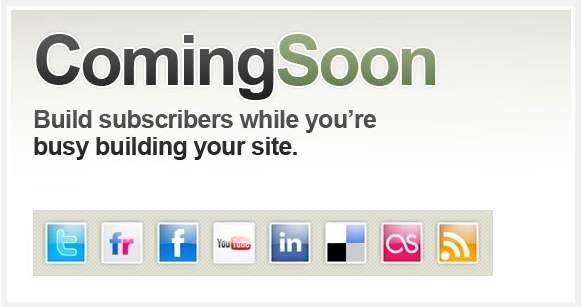 Coming Soon – This wordpress theme lets users add up to 16 social media links and set user defined logo and footer text. All the WP Theme are to be installed like any other theme though they as designed with the main aim of keeping your visitors informed about the downtime.